You know those palettes you pick up on a whim without doing research? Me too- which is how I ended up with the NYX Smokey Palette a few months back. I normally always research but it was on sale…I was buy-happy…it just happened. Was it worth the buy or should I have walked on by? Keep reading to find out! 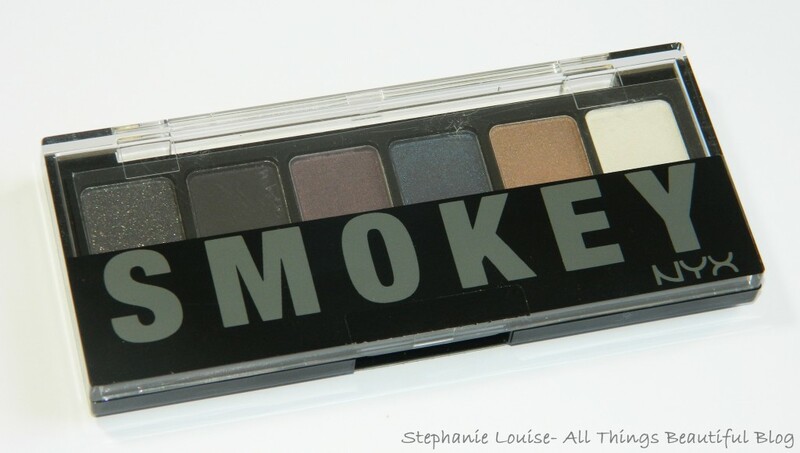 The main reason I picked this up is because you guys have been asking for more smoky eye looks- which obviously fits this palettes theme. With fall right around the corner & winter I thought maybe I could pull some deep eye looks with deeper pops in tutorials. I’ll talk about the colors more below. 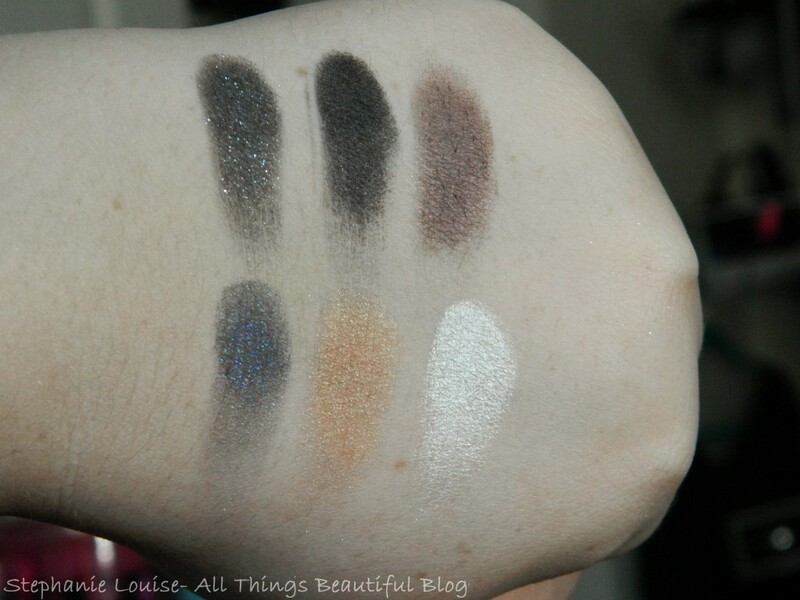 So these swatches are over primer & we have a sparkly black/gray, black, muted plum, muted sapphire, tan, & white. Again I say- these are over a nice primer. Uhg. Not exactly striking are they? The white is actually nice as is the tan- but that wasn’t exactly what I wanted from this palette. The actual colors are way patchy & have disappointing pigmentation even packed on the lid. The gray/black is meh as well- just not a good formula. So do I regret picking this up even on sale? Yeah- I’m just not going to reach for it & I didn’t even bother putting together a look for you guys. I say pass on the NYX Smokey Palette– I’m also too scared to pick up the other palettes in similar packaging after this bummer. I think I’d rather throw in a few more bucks or even go with the Milani Bella Eyes Singles I reviewed here. They’re definitely MUCH better quality although not in palette form. 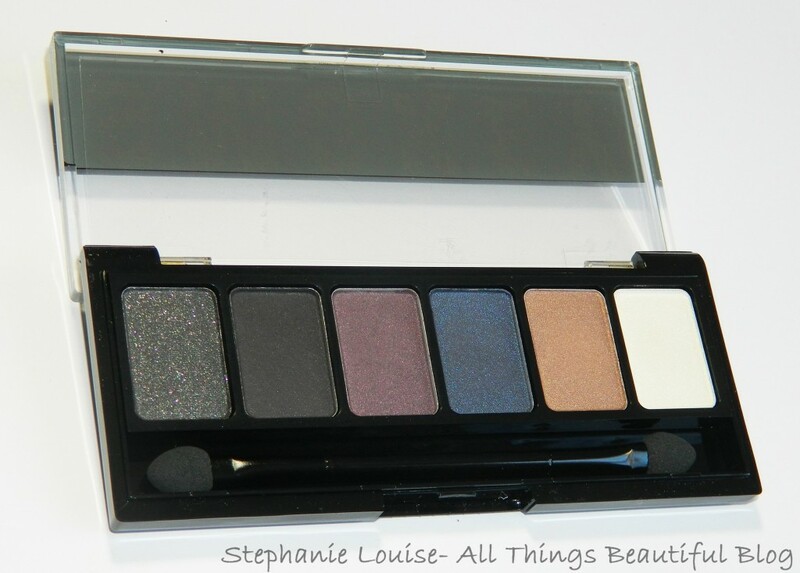 Do you have this palette & enjoy it? What palettes have disappointed you? Do you research palettes before purchasing?